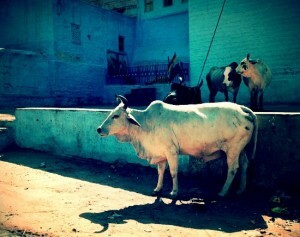 There is no movie, neither a movie genre, that could ever resume all that India is. In other words, I am yet to find one film that, individually, makes for a good intro to the country. Being so, and from my limited (but increasing) knowledge of Indian and India related films, I’d like to suggest you a few movies that could make for a great warm-up for a trip to India. Life in India is very distinct depending on your geographical location: the North and the South have their specific cultural aspects, and so do the rest of regions all across India. But I believe one thing is bound to define your daily life the most and that is wether you live in a village or in a “metro”. Bombay is one of India’s main metros, where people from opposite backgrounds and level of income co-habit. 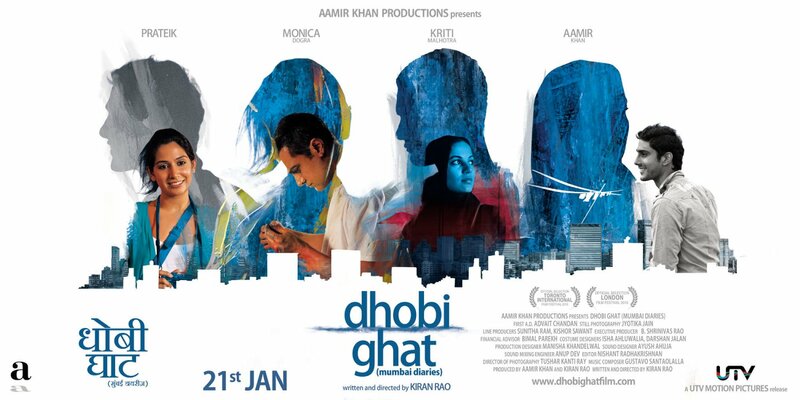 Dhobi Ghat (known in English as Mumbai Diaries) is a movie that shows just that: how people from opposite worlds come to interact and, ultimately, how we all have aspirations and dreams that might materialize differently, but that show how we’re all human at the same level. I love Aamir Khan (one of the main cast in this movie, which was directed by his wife) and his work – if you get into Indian movies, there’s a very big chance you’ll see him come up in the screen often (he’s like Gael Garcia Bernal in Mexican movies… somehow, he’s always around!). He is an extremely famous actor (also producer and director) in India but he’s definitely not your typical bling-bling Bollywood celeb. He is a person with a keen interest in social issues and making a difference (specially by creating awareness and discussing publicly subjects that are many times taboo in India), and that shows in the projects he is a part of. When Hindi becomes Indie… when Indie becomes hilarious… when silly is actually smart. This must sound like a quite abstract way of describing Peepli Live but no ordinary words would do justice to this movie. As a poor villager threatens to end his life to claim some life insurance money things get complicated in his family and… in India! This movie filled with such spot on performances is a satire of the sensationalism of the Indian media, showing how lives of “ordinary” people are being sold to the audiences, being used to support certain political causes and, at the same time, their problems are still real, and there to stay. A lot of “really Indian” ingredients mix in Peepli Live: politics, village characters, family ties, sensationalism, poverty and desperation. This movie is not your typical Bollywood hit (there’s no songs or dancing – things that the masses do expect when paying for a movie ticket in this country). It’ll make you laugh during some silly scenes, it’s a (dark) comedy after all, but it delivers a much larger message beyond that array of colorful characters and situations that it gets to show on screen. With a title such as 3 Idiots you know something rather idiotic is about to take place. It does, this movie is pure Bollywood: song, dancing, dreaming, exacerbated idealism and, of course… romance! But the great part is that all of the above ingredients work very well together. This is a typical audience pleaser, making any middle class student from India feel identified as they focus on the extreme pressure that Indian kids go through at school and at home. But it also shows “the light at the end of the tunnel”, focusing on the human side of the characters much beyond their report cards and ultimately revealing that your happiness is not proportional to your rates in school. If you’ve never watched a Bollywood movie, this could be a pretty good intro to this genre, at least to the now-a-days Bollywood: young, fresh, musical and fun! This film might not be as typically Bollywood as the one above. But it’s still one of those perfect combinations of Bollywood cliche (song + dancing) plus a huge social message. A group of idealist university students from Delhi join a documentary film maker from England, to dig into the country’s recent past and on the present social and political situation. It might have a tad more of patriotism than what I could ever get identify with (or find realistic), but ultimately this film is a must watch for the Indian upper and middle class youth that sometimes seems more accommodated than what they should and also for anyone from abroad trying to understand the present political situation of India. This movie easily ranks on my top favorite films that I could watch over and over again, and never get tired of. I first read the book, by Jhumpa Lahiri , who is an USA based Indian author that tends to set her novels and short stories in the US, but following characters of Indian descent. No one like Jhumpa to so effectively convey the essence of Indian culture and its complex family and social ties, even when abroad. The Namesake does excellent justice to the book. An Indian man based in New York gets an arranged marriage in India and brings his Calcutta born lady to the other side of the world, where all the cultural differences reveal. The rest of the movie spans through the next couple of decades and shows us how love is born within an arrange marriage, how family grows together and sometimes apart, how different sides of the world still live differently and ultimately, how rich and intricate the concept of family and Indian traditions can get. Now that I am also becoming part of an Indian family by getting married to Ashray, this movie speaks to me more than ever. But you don’t have to marry an Indian to enjoy it too! This should give you enough Hindi movie material for a while! Buy, download, watch and get into the vibes of this country… and stay tuned for our upcoming posts suggesting Indian documentaries and independent movies. 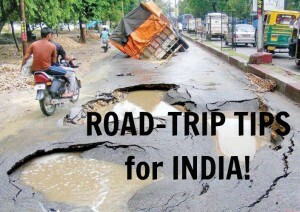 Funny yet useful road trip tips for India - for those who dare! 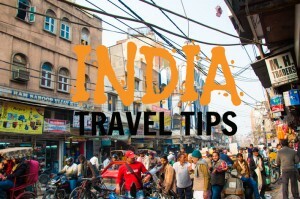 TRAVEL TIPS for INDIA that you won't find in guidebooks! Awesome all movie review and trailer!! Unfortunately I’ve watched all. You should watch an India movie “Swades – We the people”. It is an amazing movie which gives you idea about village life in India. Thanks for the suggestion Prasad! I just checked the movie on IMDB and it looks really good – I shall definitely watch it sometime!